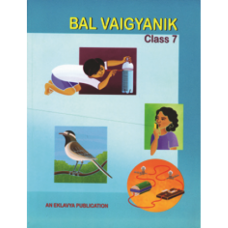 Science textbook designed by people associated with Hoshangabad Science Teaching Programme (HSTP) brilliantly illustrates the intertwined relationship between science and real life through doable, stimulating experiments. Book focuses on inquiry and discovery as a way of Science teaching and learning. The thought-provoking questions impel one to take up the inquiry.